Bradley University: Campus will be closed 10 p.m. Tuesday through Thursday morning due to the weather. Regular operations and class schedules will resume Thursday. Illinois State University: Campus will close from 11 p.m. Tuesday until 9:30 a.m. Thursday due to the forecast for extreme cold. Evening classes and activities on Tuesday will continue as planned until 11 p.m. Classes and activities that begin before 9:30 a.m. on Thursday are cancelled. Illinois Central College: Closed 4:30 p.m. Tuesday until 10 a.m. Thursday. Classes will start up again at 11 a.m.
Heartland Community College: Campuses will close Tuesday and reopen at the same times, with classes before 10:30 a.m. Thursday not meeting. Knox College: The college will be closed Wednesday. 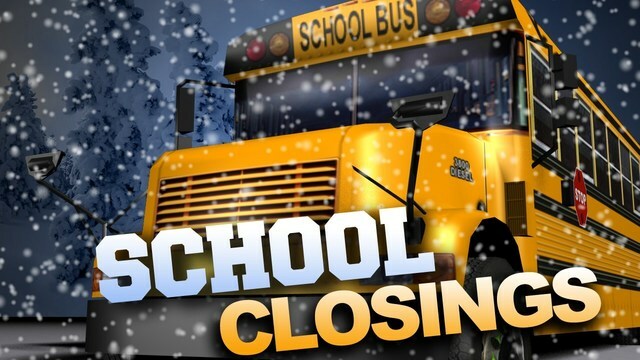 Unit 5 schools: Schools will be closed Tuesday through Wednesday. District 87 schools: District 87 schools will be closed Wednesday. Officials will continue to monitor the weather for Thursday and keep families updated. Peoria Public Schools District 150: Schools are closed Wednesday, but PPS will implement its Learning Anywhere and Anytime program for students to continue work electronically.